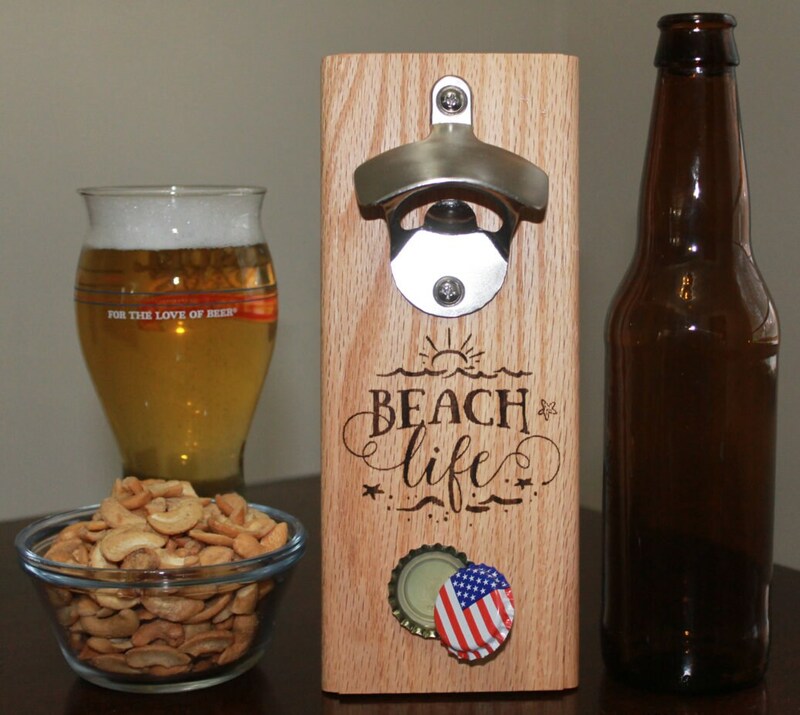 This handmade "Beach Life" bottle opener & bottle cap catcher clings to any magnetic surface using its 4 (four) super strong rare-earth magnets. 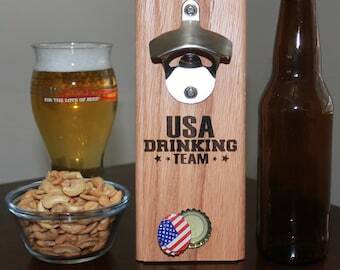 This laser engraved Magnetic Cap-Catching Bottle Opener catches your bottle caps as they fall after opening, alleviating the misfortune and headache of immediately throwing your caps away. 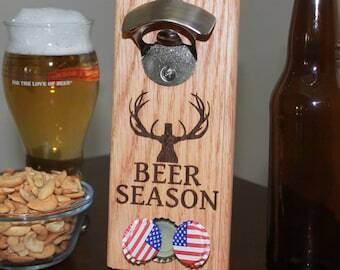 The "Beach Life" cap-catcher is practically guaranteed to impress your family and enhance your friend making ability as they watch in awe of it's endless wonder. 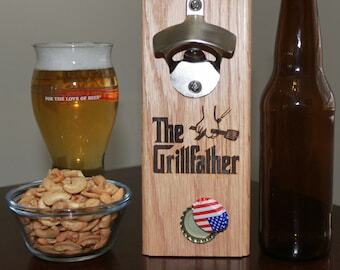 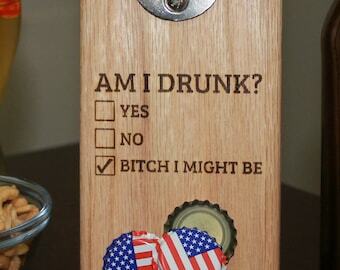 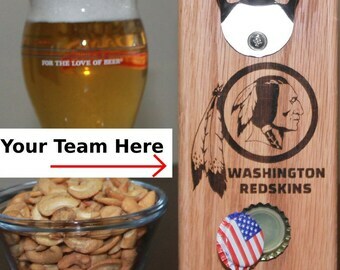 The Cap Catcher magnetic bottle opener is approximately 8.5" x 3.5" x .5" in size.